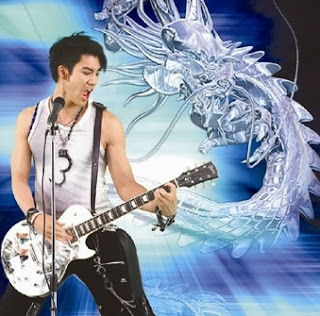 begitu melek, langsung ambil BB and typed sms to 2 my best friends: "bbrp hari cuti n ngubek2 clip Leehom, nonton concert berulang2, bikin gue gila. Bisa sama gila seperti waktu ke Jerry Yan dulu". One way: tulis di blog. Jadi kapan2 elo bisa baca lagi. Kegilaan gak di share, gak seru ah. So here I am. Pasrah dan start rumbling gak karuan di blog. What can I say? this virus is so dahsyat and gak seru kalo gak di share................................. oh damn! I got stuck for couples of mnts not knowing what to write. So many things I wanna share about Leehom... just dont know where to start. okay, those music and picture are ready on set. Now let's start. Leehom is very special. (gosh, after getting stuck couples of minutes again.. that's the best sentence I can come up with.. ckckck.. *shaking head*). With all of those qualities.. is it weird to "fall" for a guy like Leehom?